Showcase your event in the Ocean State. Whether your guests are celebrating on the beach or in the city, the Rhode Island Poster is the right choice! 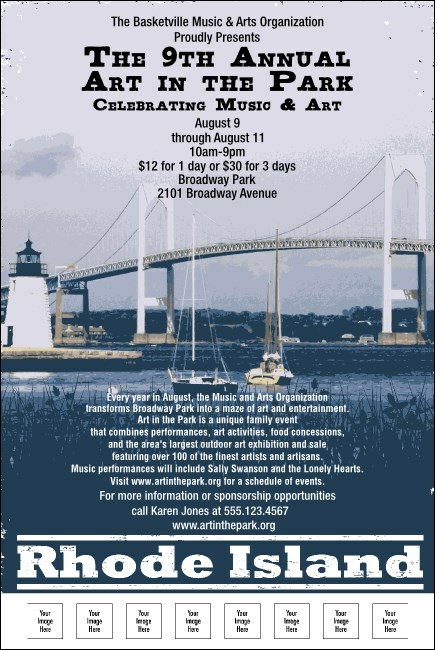 With images of the Newport Pell Bridge and a sailboat, this poster has eight spaces for your logos and photos. For fun and colorful promotional materials check out the design gallery at TicketPrinting.com.